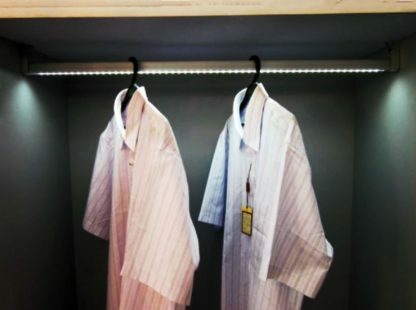 Highlight your wardrobe with the new LED Closet Light channel. 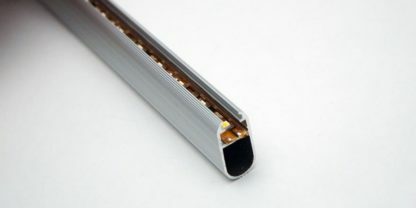 The LED Closet Channel provides an even distribution of light along the length of the closet rod with a 60 degrees beam angle. It comes in 2m (6.56ft) length. 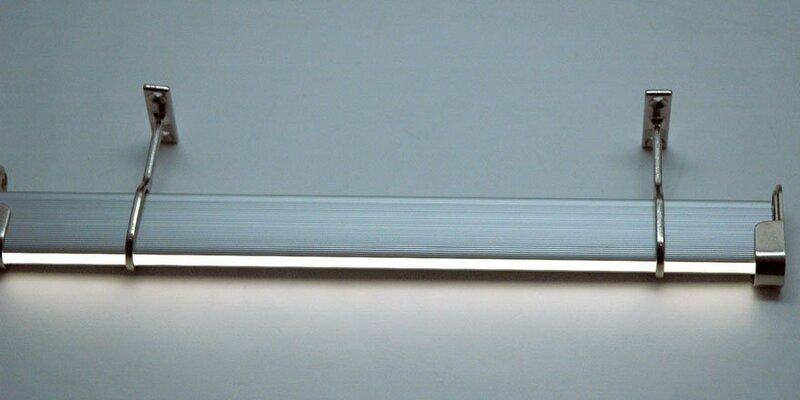 It has durable Anodized Aluminum finish and opaque lens cover to diffuse the light evenly. 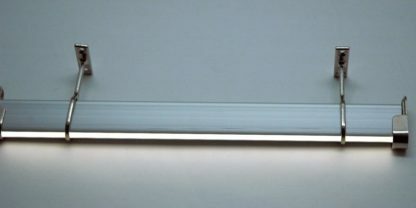 Mount only our low voltage LED strips no wider than 10mm. (LED Flex Strip FA60M28-5M-12V-X). Regular bright or double bright (sold separately). Ideal for retail display applications and any closet that needs additional light. Note: Opaque lens, Pair of End cap(2pcs) and a pair of Mount Bracket(2pcs) included. Additional optional End cap and center mount bracket available in accessories tab. 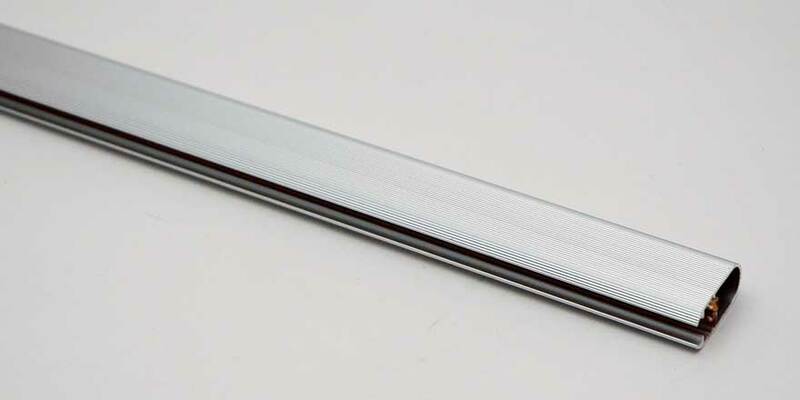 LED Aluminium Closet Rod available in 6.56 foot(2m) length. Dimensions may vary by approx. 10%. 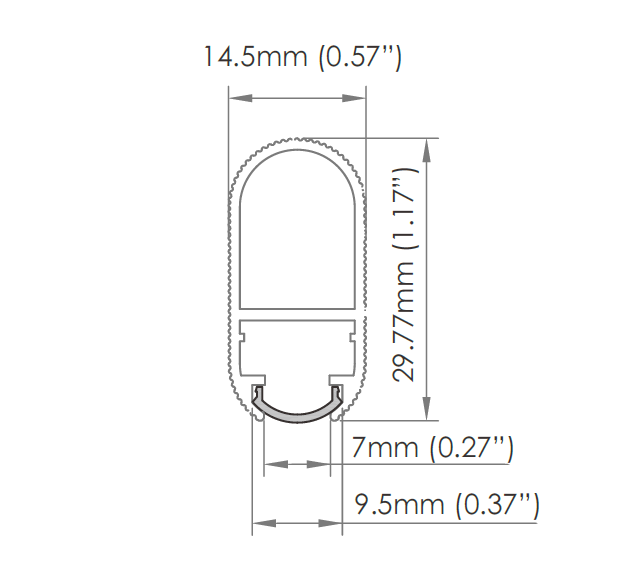 Wall Mountable Mounting clips for LED Closet Aluminium Channel.